If you live in the Atlanta area or have a visit in the future- escape the hustle of the Peach State capitol and relax in the beautiful Chattahoochee Hill Country community of Serenbe. Serenbe is an eco-chic enclave located 30 minutes southeast of Atlanta and while the distance is not great, the overall difference is tremendous. potatoes with caramelized onions and green beans. Dinner is served at The Farmhouse Thursday - Saturday from 6-9. Located directly next door to the restaurant is the charming Inn at Serenbe and stay at the inn turns a delightful night in the country into a weekend getaway. Want more information? 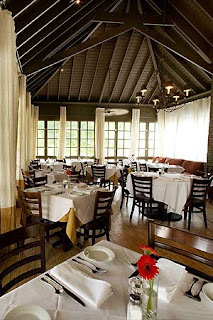 Be sure to check out Serenbe's website and that of The Farmhouse. * Gorgeous images all courtesy of Serenbe's website. This entry was posted on 7:47 AM and is filed under Serenbe , The Farmhouse at Serenbe . You can follow any responses to this entry through the RSS 2.0 feed. You can leave a response, or trackback from your own site. That menu is making my mouth water! Sounds like a charming place! What a great concept! If I ever get back to that area, I'll have to check it out. I have been here and it is amazing. i LOVE yoru pics. Do you know the Les Dames D'escoffier event held there every November? You must go if you have not been. Amazing location but the food/wine they bring in is outstanding too. Its a great event. Hi JennyMac- I have been dying to attend the Les Dames D'escoffier event! I can only imagine how wonderful it must be. understated elegance...must say casual chic as well! There was a great house in Cottage Living that was in Serenbe, I loved it. Would love to go for a visit! Perfect for a romantic weekend vacay. Hi Blue Hydrangea- I saw the same spread in Cottage Living. 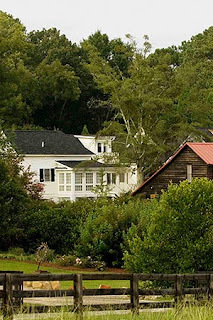 All of the homes in Serenbe are so charming and eco-fabulous!